If you want to get a good deal on your copier lease then you are going to need to trust your leasing agent. The two of you are going to be working together for years to come. Making sure that you get along with your copier leasing company is crucial to getting a good price on your copier lease and getting a good experience for years to come. Trusting your agent is best assessed before you sign a lease. Get to know your leasing agent and see what kind of person they are. You are going to want to find someone who is willing to give you actual advice, not just try and sell you something. You are going to want to talk with them about different parts of your lease to get a feel for your agent. Trust your gut and ask them a lot of questons to try and get straight answers. Ask about print amounts. If they seem to try to want to just sell you much more than you need, then you should probably walk away. Describe your business and see what they suggest. If your agent immediately starts to point to tabloid machines then they are probably just going to try and get you to spend a lot on a huge machine. Inquire about a full cost breakdown. 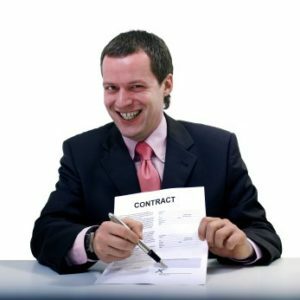 Many times these leasing agents will sneak extra costs into your lease. Having them give you a full breakdown of where your money is going and what you get from it is a great way to see if you think they are telling you everything you need to know. If your trust your leasing agent and have your best interest at heart then you should find yourself on a good copier lease.